In Morzine, village resort of the Portes du Soleil (650 km of pistes), one of the largest ski areas in Europe. Access to the slopes to 300 m, town center, shops, entertainment, 300 m. Direct access to the ski areas of Morzine / Les Gets / Avoriaz. Bed and bathroom linen can be provided. A cleaning service is also possible. Rates will be given on request. Booked for myself and 2 sons but ended up on my own. The apartment has bunk beds and a pull out double in the living area. I think for 4 adults this would require you to be well organized in respect of kit and equipment, especially if bad weather leaves you with loads of wet ski gear. The kitchen has a hob and microwave but no oven so kind of dictates the kind of food you will prepare. The shower could do with a wall mount so you don't have to hold the shower head and wash at the same time. The apartment has a ski locker in the basement which is handy, and a side exit so you can get your gear on and go straight out. 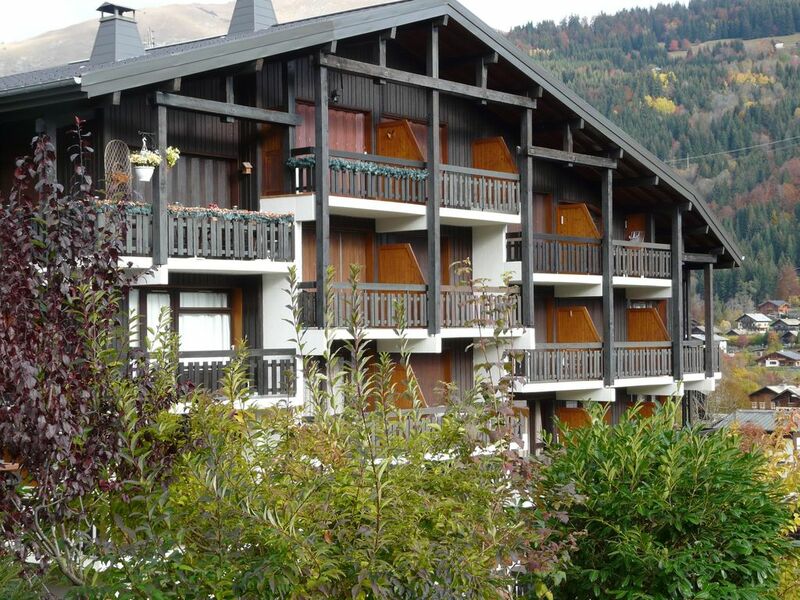 5 mins walk to the Super Morzine lift or into town. There is a small Casino shop close by for morning bread etc. Good views from the balcony down the Valley Des Ardrosieres towards Avoriaz. The owner and agency who deal with keys etc were very helpful getting in and when leaving. The apartment block itself was very quiet ( over Xmas week) no problem with noise / parties going on etc. Would I go back? - yes, no worries there, I would happily take my 2 sons, but I think 4 would be a push, but not impossible. Small but warm , comfortable and perfect location. This comfortable little studio was just the job for a week away - close to the Plenny Lift and short stroll to town - supermarkets d restaurants on the doorstep. Your will need to bring sheets and a couple of towels but hot water and comfy bed after a good day on the slopes and of course the apre!